Enjoy an afternoon on the patio at Lawrence Beer Co! There will be an onsite adoption event along with environmentally friendly products from Lucky Dog Outfitters, so make sure to bring your furry friends! Not sure you want to adopt? 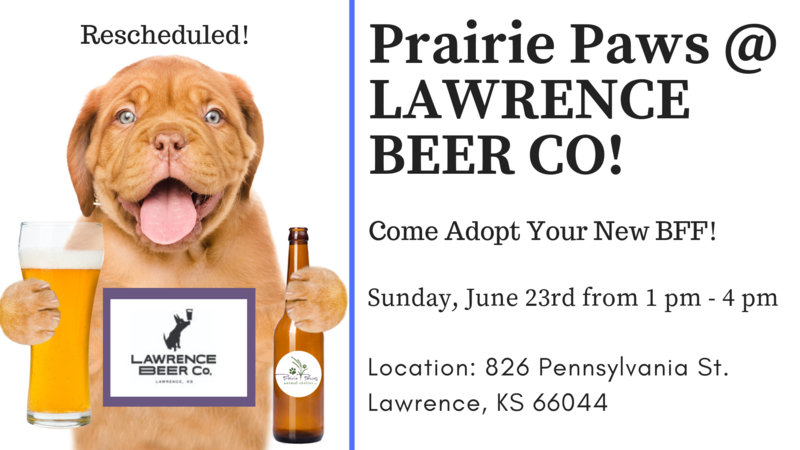 You can still come and enjoy the amazing food and beer that Lawrence Beer Co has to offer! And from 1- 4 pm a portion of all sales will benefit Prairie Paws Animal Shelter.